When it comes to layer 3 switch and routers, many networking beginners may be confused about the two terms, because they all use IP packets, check the destination address and pass packets according to the routing rules. In terms of these aspects, they are the same. But in fact, they are different in many ways. Layer 3 switch vs router, what’s the difference? While, layer 3 switch is a product of technology to improve on routers that used in large local area networks (LANs), such as corporate intranets. The most important purpose of the layer 3 switch is to speed up the data exchange within the large LAN. And its routing function is also for this purpose. It can be routed once and forwarded many times. Performing the traffic directing on the internet, the router is a networking device, which forwards data packets between computer networks. Data (like emails or web pages) sent through the internet, is in the form of data packets. The hardware technology used to build the unit of layer 3 switches and routers is different. Merging that of traditional switches and routers, the hardware inside a layer 3 switch replaces some of a router’s software logic with hardware to promote performance in some situations. But layer 3 switch vs router, what are the differences between a router and a Layer 3 switch? Flexibility-Mixing and matching layer 2 and layer 3 switching by layer 3 switches are allowed, which means that a layer 3 switch can be configured as a layer 2 switch to operate. Density of port-Compared to routers, the port count of the layer 3 switches is higher, while the port density router is lower than that of the layer 3 switches. Hardware/Software decision making-The hardware technology which is used to making forwarding decision is the key difference between layer 3 switches and routers. The hardware technology used in layer 3 switches is ASIC to forward decision while the hardware technology used in routers is the software logic. Cost-Compared to routers, the layer 3 switches have higher cost performance. Generally, high-performance routers are usually much more expensive than the layer 3 switches. Now let’s look into the scenario where to use layer 3 switches and router. 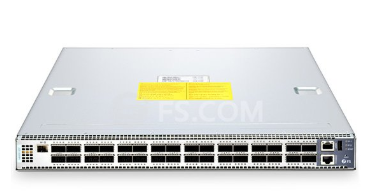 If you need more throughput and direct access, a layer 3 switch is the best choice. If your Hub rooms need to be connected, and a L3 decision need to be made, besides, direct server form connectivity requires more Ethernet interfaces, then you can use a switch. If you want to connect a ISP directly for providing internet, to deploy a router is best. 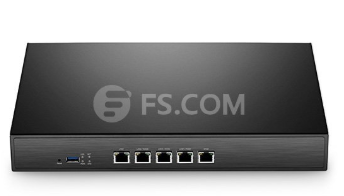 If tunnels between your different offices (securely connecting 2 offices over public internet) need to be built, then you need a router . After explaining the layer 3 switches and routers above, I think you’ve had some knowledge of layer 3 switch vs router. To put it simply, they have the same functions, but each has their own advantages and disadvantages. In general, the layer 3 switch is mainly used in LAN environment, and routers are used in WAN environment. If you are looking for them, consider FS.COM. Besides, if you have any questions about the deployment of the network, please contact us at any time for help. This entry was posted in Network Switch and tagged difference between layer 3 switch and router, Layer 3 Switch VS Router, What Is Layer 3 Switch?, What Is Router? on July 27, 2018 by Admin.